Love to cook at home? Want to learn some new skills in the kitchen? 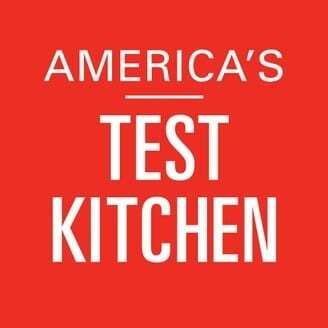 Find “America’s Test Kitchen” on Kansas City PBS in our schedule and watch at 11 a.m. every Saturday. We wanted to package s’mores into a neat blossom cookie, one that would give us all the flavor without the sticky, burned fingers. We made a basic butter cookie dough for the base and proceeded to boost its flavor by mixing in graham cracker crumbs. To really highlight the sweet, whole-wheat flavor of the grahams and to add some crunch, we also rolled the balls of cookie dough in more crushed graham crackers. A halved marshmallow sat neatly on top of the baked cookie and, once melted, took on the same size and shape as the cookies. To get a brulee on the marshmallows without the burn, we ran the baked and topped cookies under the broiler until the marshmallows developed a toasty-roasty top. At last we turned to the crowning touch: the chocolate. 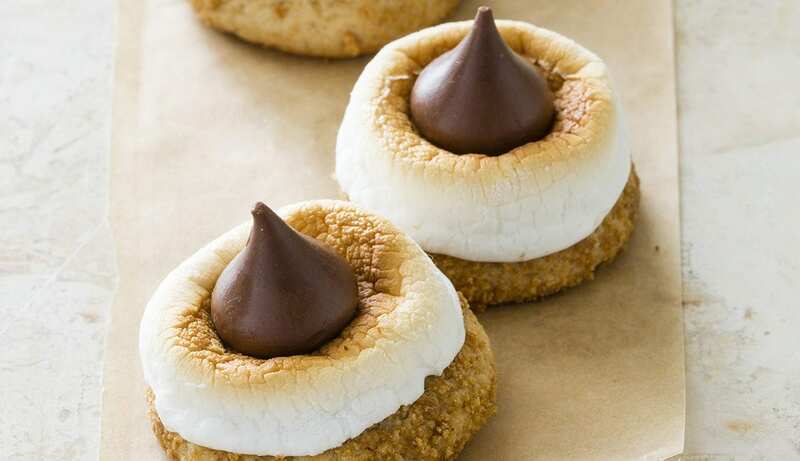 Rather than use bar chocolate as with traditional s’mores, we thought we’d follow the dressed-up vibe of this cookie and top it with a Hershey’s Kiss hat for the same chocolate flavor with a touch of flair. This cookie might just be better than the classic s’more and there’s no campfire required. Adjust oven rack to middle position and heat oven to 350F. Line 2 baking sheets with parchment paper. Whisk flour, baking powder, baking soda, and salt together in bowl. — Follow @FlatlandKC on Twitter and Facebook for all your food news.